Cement tile is designed to emulate classic tile and slate roofing materials. The distinctive charm of a tiled roof, especially on a classically styled home, is undeniable. Tiled roofs have been used in Europe and in the Mediterranean area for millennia and the fact that centuries-old tile roofs have survived to the present day is a testament to their longevity. Traditionally, those roof tiles have been made of clay or slate—the slate split from naturally occurring stone into flat shingles and the clay molded into flat or arched shapes then fired and sometimes glazed. Besides its attractiveness, clay tile offers other benefits. A clay tile roof can be expected to last for one hundred years or more and its color resists bleaching or fading. Clay tile is dense and absorbs very little water. Because of the way the individual tiles are installed, replacing a damaged tile is relatively simple. But clay tile roofs are susceptible to cracking from extremes in temperature and damage from impacts such as falling tree branches. Walking on a clay roof is inadvisable. The biggest disadvantage of clay tile, however, is its cost. 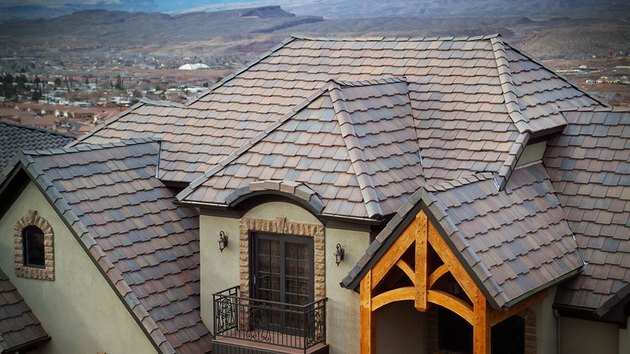 At $700 to $1000 per square (100 square feet), clay tile is one of the most expensive roof coverings you can choose. Cement tile comes in both flat and arched styles. Also known as concrete tiles, cement tiles are molded and tinted to mimic the shape and appearance of clay but at half the cost. As with clay tile, cement tile roofs must be installed by experienced professionals. While not as long-lived as clay tile, manufacturers project cement tile roofs to be good for fifty years or more. Cement tile is resistant to damage from hail, and because of its weight, it stands up well to high winds. 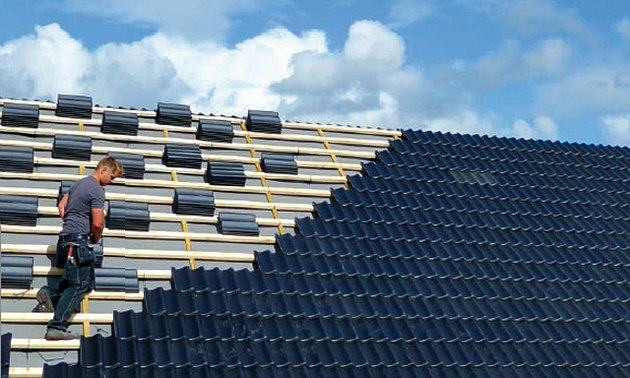 Fitting cement tiles to a complex roof design with multiple angles and obstructions is especially tricky and time-consuming (and therefore expensive), because tiles must be individually cut to fit with a special saw. That makes cement tile best suited to roofs with broad expanses and a minimum number of interruptions. The underlayment and battens are critical to the longevity of a cement tile roof. The main purpose of most roofing is to protect the underlying structure from water penetration. That's not a tile roof's primary job. 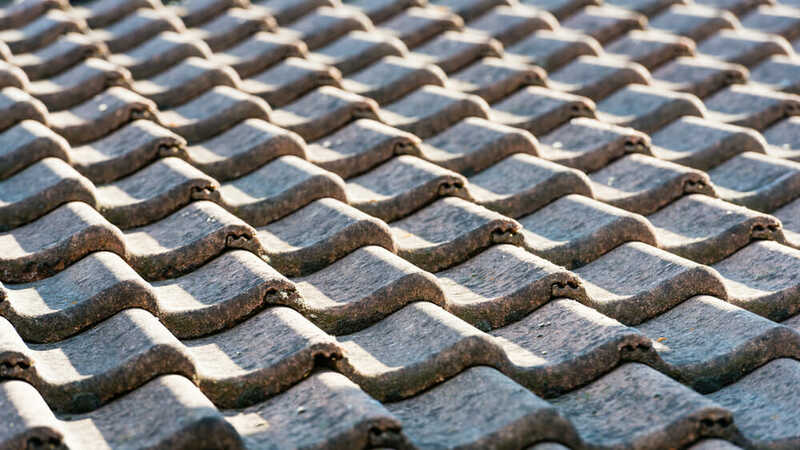 Even though cement tiles (and clay ones as well) are molded with overlapping and interlocking joints, tile roofs are not completely waterproof. Wind-blown rain easily infiltrates the tiles. Tile's function is to shield the real moisture barrier, which is the underlayment layer beneath, from the forces that promote its deterioration—temperature extremes, ultraviolet from sunlight, wind and water. Before the tile goes on, a typical roof must first be covered with at least one layer of No. 30 roofing felt overlapped horizontally and wood batten strips spaced according to the size of the tiles. The battens provide a holding ledge for the lugs molded into the underside of the tile. Those, along with nail fasteners, keep the tile in place. Because the underlayment is the real moisture barrier on a tile roof, quality materials and proper installation of that component are critical. However, even with the best of materials, the underlayment's life expectancy is projected to be shorter than that of the overlying tile. Recommendations for underlayment replacement vary widely—anywhere from twenty to forty years—but these recommendations are often overlooked unless there is a leakage problem. Replacement of the underlayment entails the removal of all the tiles, reapplication of the underlayment material, and then reinstallation of the tiles, so it is rarely done until there is an obvious problem. When considering a tile roof for your home, you must first ascertain whether the framing structure can support it. Clay tile is heavy but cement tile is even heavier—three times or more the weight of an asphalt shingle roof. In addition, cement tiles absorb twice as much water as clay tiles, making them even heavier when it rains. If you are building a new home, you can plan the roof trusses to sustain that extra weight, or if your roof was previously tiled you can be reasonably confident that the roof structure is robust enough to support tile again. Any roof not previously tiled may be required by local building code to be examined and certified by a structural engineer. If the roof framing is found inadequate, you will have to have it reinforced—an extra expense you may not have anticipated. When properly installed, cement tiles make a good-performing and attractive roof. It's up to each homeowner to decide if the promised longevity and easy maintenance of cement tile are worth the initial expense. Even at half the lifespan of clay tiles, cement tiles stand a very good chance of being the last roof your home will ever need.